Foliage (18 pk.). 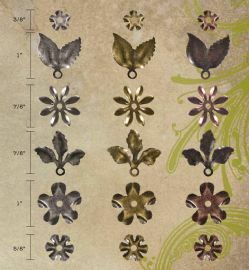 12 flowers 6 leaves per pack (1 set of each antique finish: nickel brass and copper). Includes 18 coordinating long fasteners.